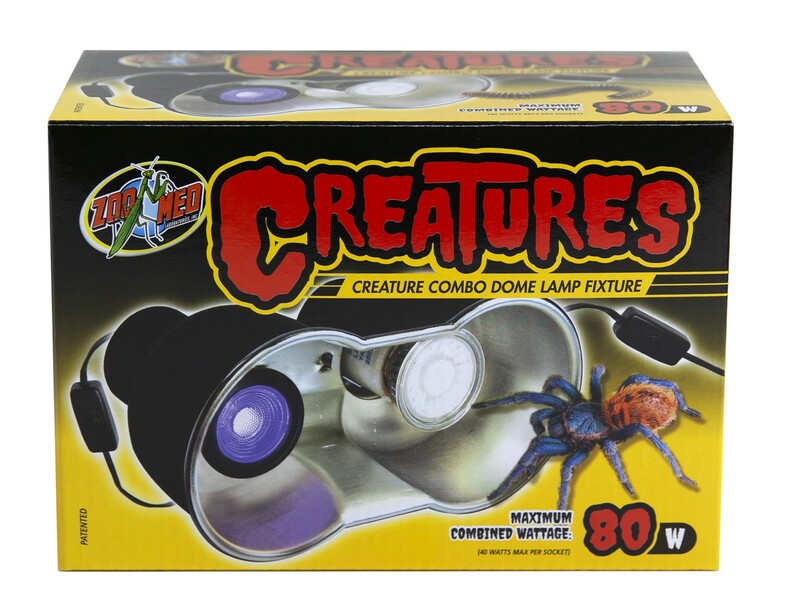 Creatures™ Combo Dome Lamp Fixture | Zoo Med Laboratories, Inc. Very small dual-lamp fixture for nano-sized terrariums (10 gallons or smaller). Ideal for small geckos, hatchling reptiles, amphibians, tarantulas, insects, and other invertebrates.